Wellington Shropshire MacBook SSD Installation and Upgrade. Wellington Shropshire MacBook Pro SSD Upgrade and Installation. Wellington Shropshire MacBook Air SSD Upgrade and Installation. Please note that we can clone the original MacBook, MacBook Pro or MacBook Air hard disk drive to the new Solid State Drive. The cloning process is performed in such a way as to ensure that no data is destroyed Your Data is Safe with Us). Please note that we can perform a full OSX or Windows 10 installation (with the correct drivers and all Updates). This will often include the transfer data from your MacBook, MacBook Pro or MacBook Air to the new Solid State Drive when the process is complete. We install and configure the new Solid State Drive in your MacBook, MacBook Pro or MacBook Air. 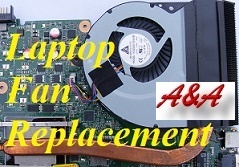 Your original MacBook, MacBook Pro or MacBook Air Hard Disk Drive could then be securely erased and destroyed. Your original MacBook, MacBook Pro or MacBook Air Hard Disk Drive could be fitted into an external (USB) hard drive caddy (with your data intact). Your original MacBook, MacBook Pro or MacBook Air Hard Disk Drive could be fitted into your DVD Drive bay (with your data intact). If required, your DVD drive could be fitted into an external (USB) DVD drive casing. Please note that we can clone the original iMac hard disk drive to the new Solid State Drive. The cloning process is performed in such a way as to ensure that no data is destroyed Your Data is Safe with Us). 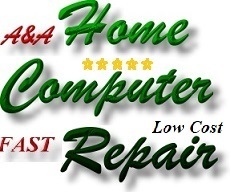 Please note that we can perform a full OSX or Windows installation (with the correct drivers and all Updates). This will often include the transfer of your data to the new Solid State Drive when the process is complete. We install and configure the new Solid State Drive in your iMac. Your original iMac Hard Disk Drive could then be securely erased and destroyed. Your original iMac Hard Disk Drive could be finstalled into an external (USB) hard drive caddy (with your data intact). Your original iMac Hard Disk Drive could be cloned onto a 2.5" hard drive which is then installed into an external (USB) hard drive caddy (with your data intact). Your original iMac Hard Disk Drive could be fitted into your DVD Drive bay (with your data intact). If required, your DVD drive could be fitted into an external (USB) DVD drive casing or we could supply an external (USB) DVD ROM Drive. Please note; when installing an SSD into a iMac, a 2.5" to 3.5" conversion caddy should be used. If working on a newer (slim line) iMac, a high quality (professional) vacuum plunger should be used to secure the screen during the proceedure. When complete, the iMac screen should be resealed. If working on an older (eg; late 2009) iMac, a high quality (professional) vacuum plunger should be used to secure the screen during the proceedure. When unscrewed and tilting the iMac screen forward, be very careful not to disturb the cables which attach the iMac screen to the internal cuircuit boards (the onboard connection can often become brittle over time and are prone to breaking). 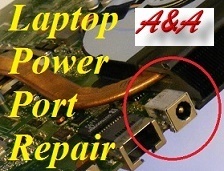 A magnet torx screwdriver needs to be used and care taken because the iMac screen is secured with strong magnets which will attract the screws and screwdriver. Please note the the above (Apple Question Mark) indicates that the Apple iMac, Apple MacBook, Apple MacBook Pro or Apple MacBook Air cannot access the boot device. This will typically be due to hard drive failure. The solution is to replace the drive (preferably with an Solid State Drive) and reinstall the correct MacOS X. If the issue is simply due to data corruption, it may be possible to repair the damage without losing data, or it may be necessary to completely reinstall the MacOS X. (Apple model) and a description of the problem. 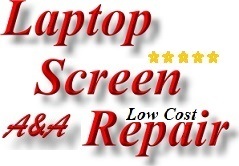 Most Apple iMac repairs and Apple Macbook repairs are completed within 24 to 48 hours. 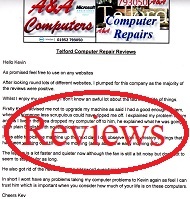 We provide Apple Computer Repair in most local areas and can collect from - return to; Malinslee, Aquaduct, Ironbridge, Madeley, Shifnal, Dawley, Brookside, Priorslee, Hollinswood, Bratton, Dawley, Oakengates, Muxton, Wellington, Stirchley, Sutton Hill, Wrockwardine, Donnington, Lilleshall, Trench, Leegomery, Hadley, Ketley, Trench, Little Wenlock, Shawbirch, Admaston, Woodside, St Georges.